According to Presidential Decree 1183, as amended, a travel tax also known as departure tax is imposed or collected when you leave the Philippines regardless of your country destination. 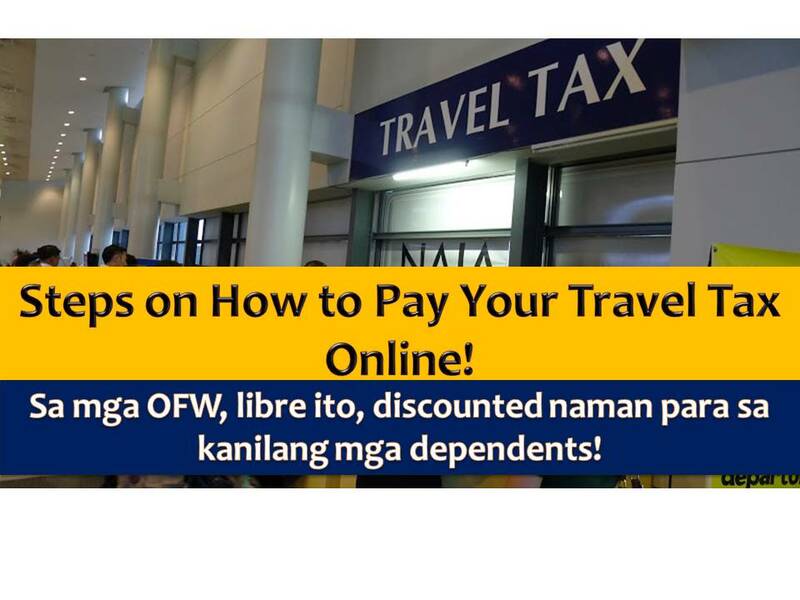 For Overseas Filipino Workers, they are exempted in paying travel tax and their dependents may enjoy the Privileged Reduced Travel Tax. 1. How much is the travel tax? 2. Who pays the full travel tax? Who may be exempted from paying the Travel Tax? How much is the Reduced Travel Tax? Who may avail of the Standard Reduced Travel Tax? What are the requirements? Who may avail of the Privileged Reduced Travel Tax? What are the requirements? NOTE: This privileged reduced travel tax is granted to the dependent of a land-based OFW, if said dependent is traveling to the work site. HOW TO PAY YOUR TRAVEL TAX ONLINE? 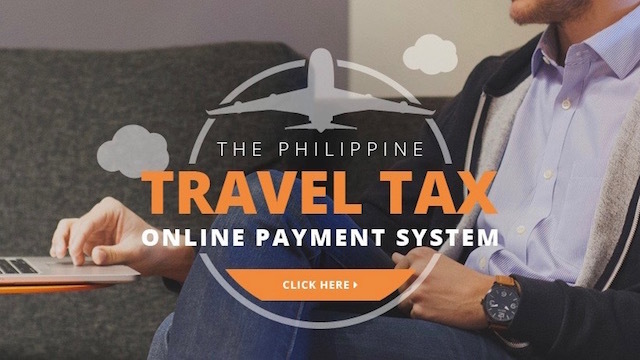 Last October 2016, the Tourism Infrastructure and Enterprise Zone Authority (TIEZA) launched the launch an online system where travellers can pay their travel taxes, easy and hassle free. 1. Open an account on the TIEZA website http://tieza.gov.ph/. 2. From the home page, select the clickable image for travel tax payment, or select the "Travel Tax" tab in the header of the webpage and click "Pay Travel Tax" in the dropdown menu. 3. Create an account by filling out the registration form. Once registered, fill out the form for the payment of travel tax. 4. After you have confirmed payment, you will be given an electronic receipt to print out. Simply bring the receipt with you on the day of your flight to be presented with your travel documents. With this online payment system, you can skip queues at the airport and you can pay your travel tax before the day of your flight.